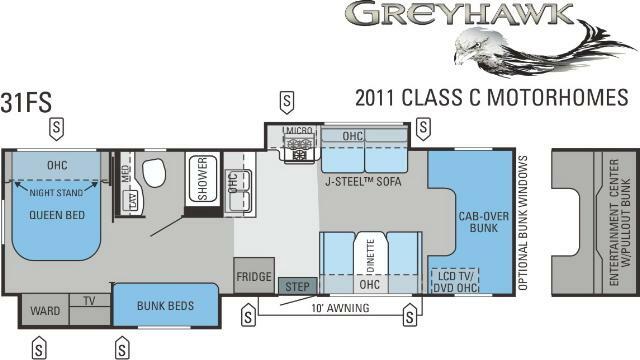 The decision to purchase a new motorhome has never been easier thanks to the best-in-class 2011 Jayco Greyhawk. Powerful durable and extremely liveable Greyhawk delivers the best value on the road today with more high-end features and amenities than anything in its price range. Give yourself the freedom to go whenever and wherever you want because with Greyhawk youll be as comfortable on the road as you are off it.